Change is coming to Riverdale! This month’s release of Archie #32 by Mark Waid, Ian Flynn, and Audrey Mok brought an end to Waid’s tenure on the revitalised series since he first started alongside Fiona Staples in 2015. The new team of Nick Spencer and Marguerite Sauvage are set to begin later this year—and we spoke to Sauvage to learn more. Spencer and Sauvage’s run on Archie will begin with Archie #700 this November—but as well as continuing on from the groundwork laid by the series’ radical reinvention three years ago, the new era will see the duo bring Riverdale-ian influences and new directions to Archie and his pals. We spoke to Sauvage via email to learn about how she joined Archie’s next adventure, and what it’s like bringing her own style to Riverdale and beyond. How did you come to sign up as the artist for this new run? At what stage were the plans for the relaunch like when you came aboard? Marguerite Sauvage: I was contacted a few months ago by [Archie co-president] Alex Segura and the Archie editorial team. The series was only at the outline/ideas stage. The concept of relaunching Archie was so engaging I couldn’t refuse! What’s it been like collaborating with Nick [Spencer] on the series so far? Sauvage: We’ve just sent each other “nice to meet you” emails yesterday! 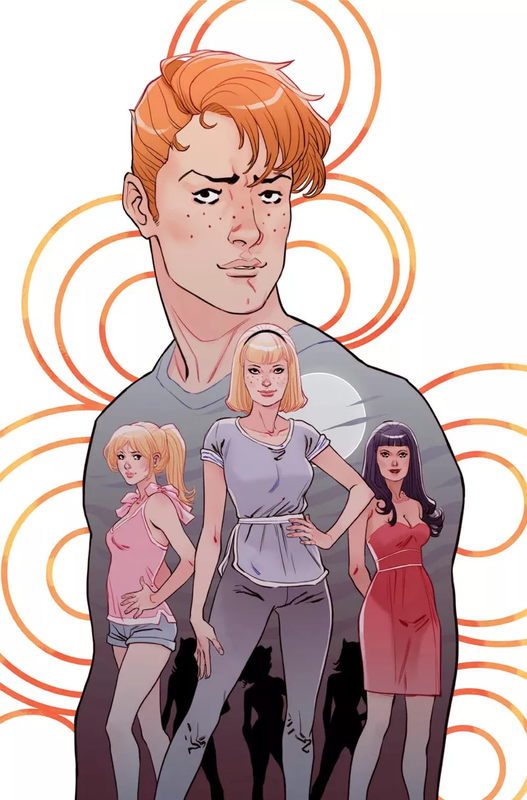 As an artist, when you’re tasked with interpreting classic characters like Archie and his friends, where do you start in the design process—did you go back and look at what Fiona Staples and the artists that followed her did with the relaunch, back to the classic books, or elsewhere for inspiration? Sauvage: Yes, I certainly look back to the previous series, design, and story all together. A lot of great artists have personalised these characters and I really love their work! There are a lot of good design ideas to pick up. Also, yes, the Archie characters are classic and I don’t want to betray any of their specific characterisations, so I’ll be careful on this, as well, especially because I do love the retro style of Archie. Nevertheless, I guess I was contacted to bring my art style and a personal touch, so after soaking in the previous run and the various side series, I’ll let this rest and just do my thing. How did you settle on a style for these characters that felt like they were your own, but still recognisably “Archie”-esque? Sauvage: That’s where the magic is! I’m actually not sure I can really explain it, but it’s basically applying my style to the confluence of what I know and imagine the character is. A whole new audience of fans has come to Archie comics recently through the CW adaptation, Riverdale. Were you influenced by the aesthetic of the show in your designs, and if so, in what ways? Sauvage: I do watch, follow, and really enjoy the Riverdale TV show. It always surprises me, so I will certainly be influenced somehow, even unconsciously. Nevertheless, I’m totally aware we’re in a very different area of the Archie universe, so it’s great to do something using that. One example of how this will be different is lighting. The show feels, for me, more like a dramatic digital painting type of thing, while I’m more a line art and bright colours artist. It wouldn’t be modern Archie if there weren’t some fresh teen looks—who’s been your favourite of the gang to design a wardrobe for? Who was it the most difficult to nail a style for? Sauvage: Since we’re in the early stages of the project I’m still working on the style according to Nick’s story. What I can say is I’m delighted to do the teen characters’ everyday wardrobes so I can express my sense of fashion and pick up some good style tips from the streets and fashion shows. A lot of fans will know you for your cover work and shorts, as well as comics like DC’s Bombshells. What are the challenges that come with sequential art on a monthly series like this? Sauvage: Deadlines! And the intensity of the production rhythm. I’m doing my own colours, as well, so I’ll do the art A-to-Z, and I’ll have to be very well-organised and avoid getting the flu or something else! What do you hope fans will take from your stylistic interpretation of Archie? Sauvage: I hope they will appreciate how I draw the characters and how I’ll make them express, move, talk, etc. I hope they’ll be happy to read this new series. Archie #700 is set to hit shelves this November.